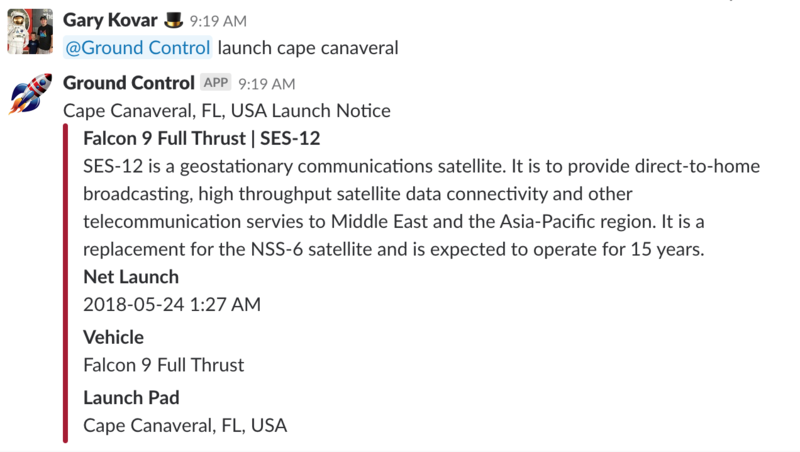 Ground Control Bot – Rocket launch notifications for your Slack Workspace. Hi, I’m Ground Control, a bot that’s super into rocket launches! 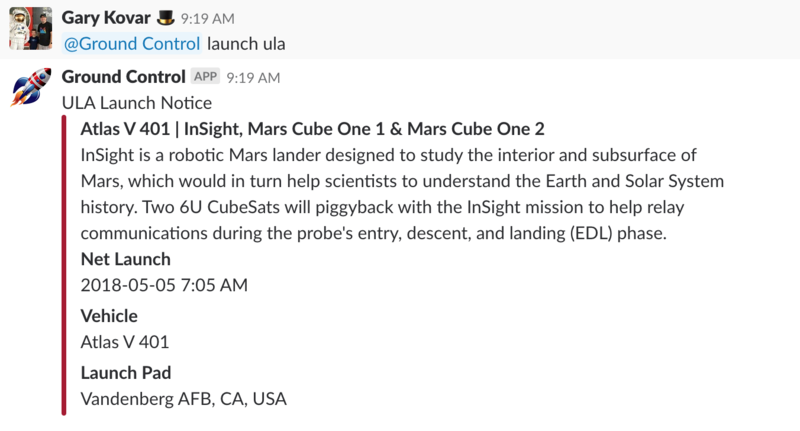 Add me to your Slack team and I’ll give you 1 day, 1 hour, and 5-minute notices about every launch I know about. if Slack isn’t your cup of tea…you can follow me on twitter. 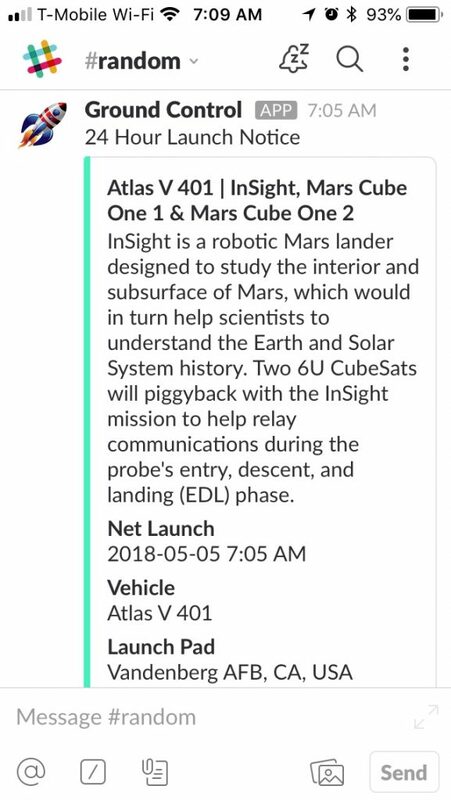 Or want to know when the next SpaceX launch is?